Because I often work with authors who are sharing very personal, non-fiction writings, photos that have an emotional attachment are submitted by the author for cover concepts. Unfortunately, this can lead to the author choosing an image with no consideration given to the reader or the market. However, that is not to say that all emotional attachment images are unusable as a cover design. I was blessed to submit material for Amy Collins’s article, “Book Promotion: Do This, Not That | April 2017“, where you can read my full thoughts on this subject. The information below is in addition to that article and provides visual references. What do those three have in common? We are all artists in our own right. Often, authors want to use photos that they personally took. But simply having access to a camera does not a photographer make. It is important to note that even if a photo was taken with your camera, that does not mean that it will be usable for a book cover. Do not get your heart set on a specific image until you have spoken with your designer. When a professional photographer takes a photo, she is taking the setting, coloring, and feel of the subject into consideration for the 1,000 words that she wants that photograph to say. Unless she knew it was going to be a book cover, then she does not know to make certain allowances for subject cohesion, text placement, color palette, bleed, and all those fun things that go into a good cover design. One of my clients actually is a professional photographer who worked in tandem with her business partner, the author, on their book “Wanted: The World”. Her photo is beautiful, stunning even, and yet it still required Photoshopping to shift some of the elements around for their 5×8 book. 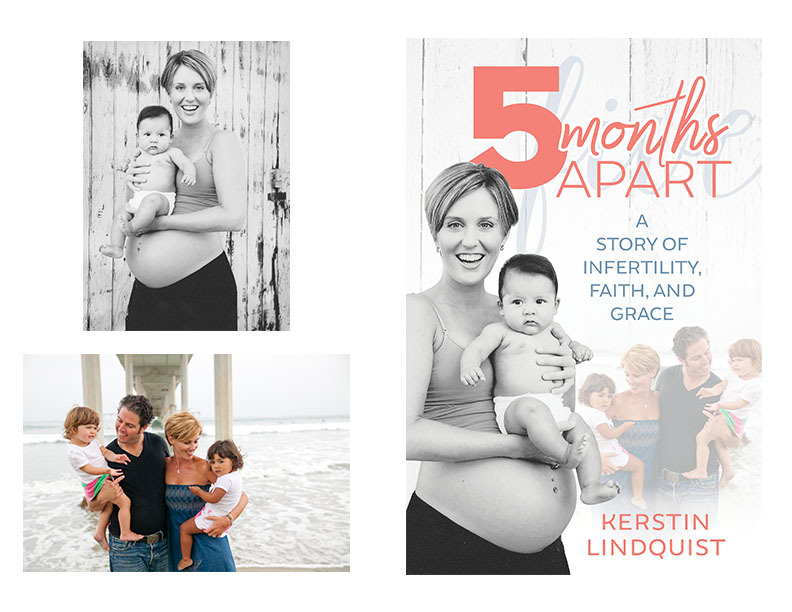 The first is a memoir, “5 Months Apart: A Story of Infertility, Faith, and Grace” by QVC-hostess Kerstin Lindquist. I was asked to use 2 photos that were taken before the book was a thought and create a cover. Thankfully, these were already high-res digital photos. It turned out nicely but required many hours of Photoshop to achieve cover-worthy subject extractions and just the right level of blend. 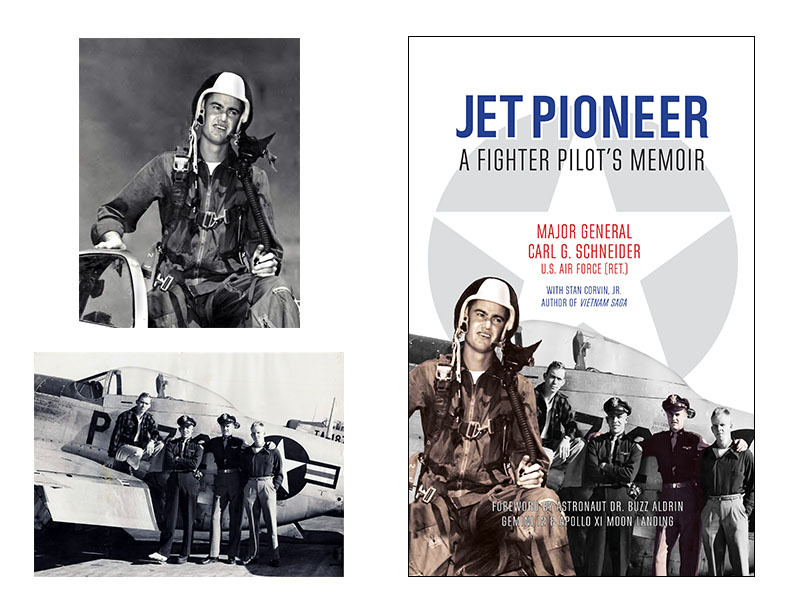 The second is also a memoir, “Jet Pioneer: A Fighter Pilot’s Memoir” by Major General Carl G. Schneider, USAF (Retired). His photos were definitely taken long before he ever thought about using them on the cover of a book. These had to be scanned in at high-resolution, and then I colorized the author and did an extraction of the subjects. 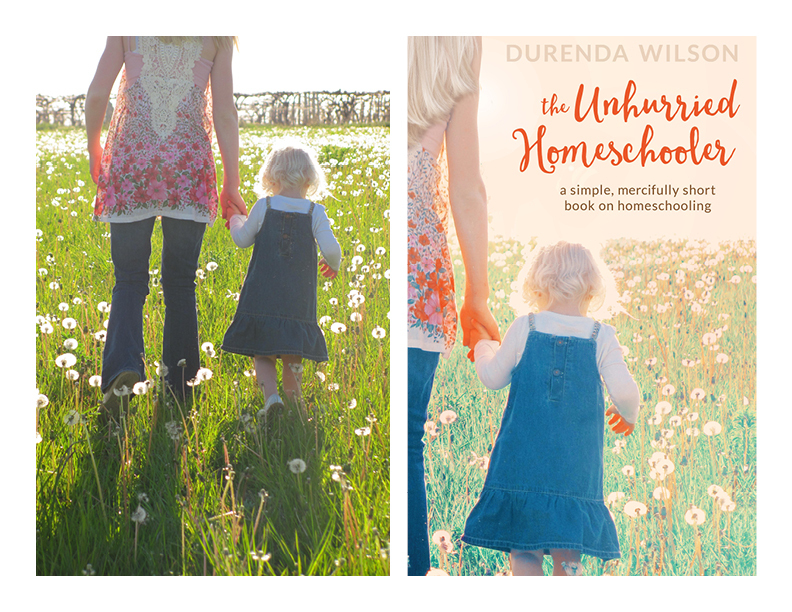 This third book is not a memoir, but the author wanted very badly to use this photo of her grandchildren that her daughter had taken: “The Unhurried Homeschooler: A Simple, Mercifully Short Book on Homeschooling” by Durenda Wilson. As you can see, there was no way that the photo was going to work in its original state. This photo definitely was not taken with a book cover in mind. The photographer was capturing a sweet moment of her children, and it works for that–but not for a book cover. Lots of work had to be done to the original photo to bring it up to speed for a cover that I was designing. It may look like it was just a simple crop and lighting job, but that is far from the truth. However, the main thing is that both the author AND her readers love this cover. The right designer will work together with you to develop a cover that is a win/win/win: a win for you, a win for your audience, and a win for their portfolio. This may mean that you are not able to use the photo that you wanted on the cover, but the important thing is to find a designer who will be honest (and nice!) about its chances. If the photo can not be used on the cover, it may have a very high probability of being used on the inside for both your print and your Kindle books.